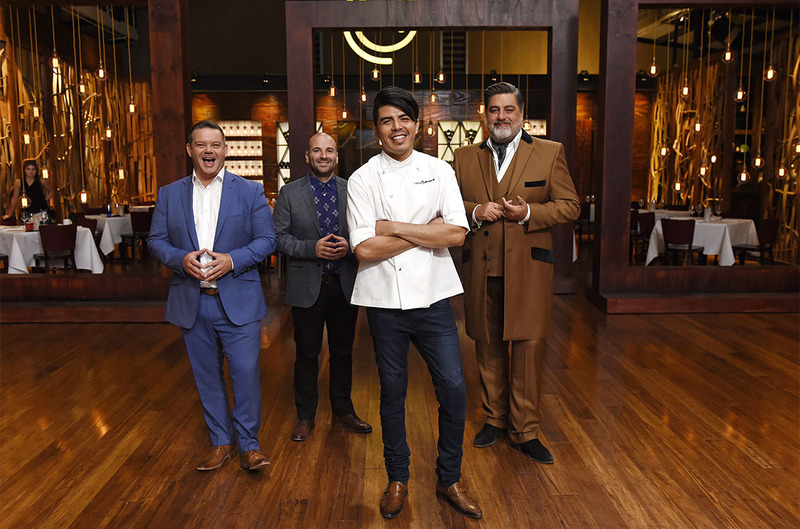 QAGOMA Executive Chef Josue Lopez guest starred on Channel Ten’s MasterChef showcasing his signature Emu dish ‘After the Eucalypt Fire’ available on the GOMA Restaurant‘s Winter menu. 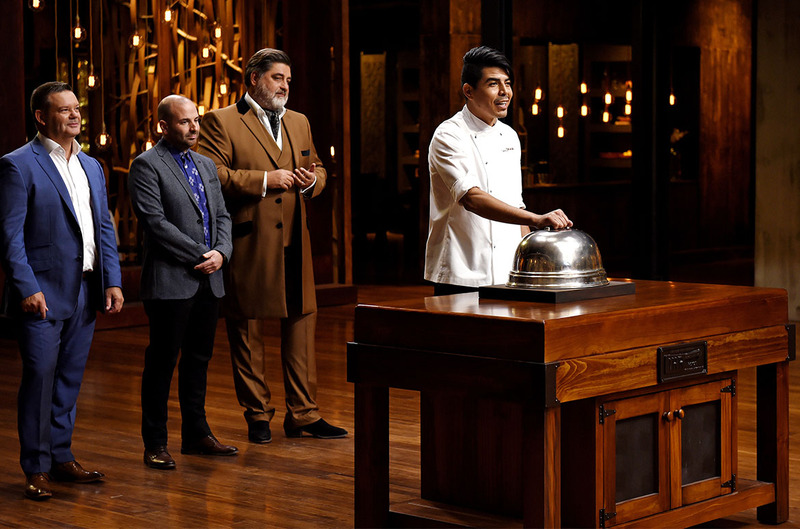 We talk to Lopez about his experience in the MasterChef kitchen. You’ve carved a niche for creating dishes that respond to the surrounding art at QAGOMA, by telling stories through your food. 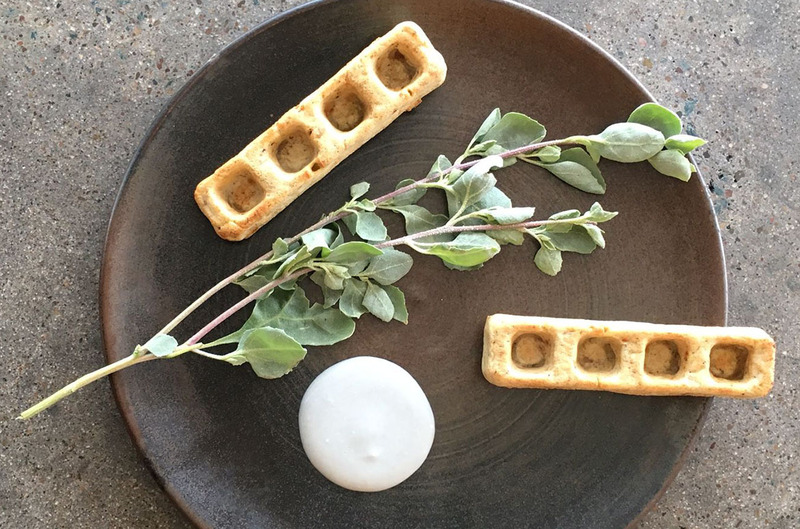 Tell us about the story and inspiration behind the dish you made for the MasterChef Pressure Test – ‘After the Eucalypt Fire’. What do you consider the most challenging element of the dish and why? 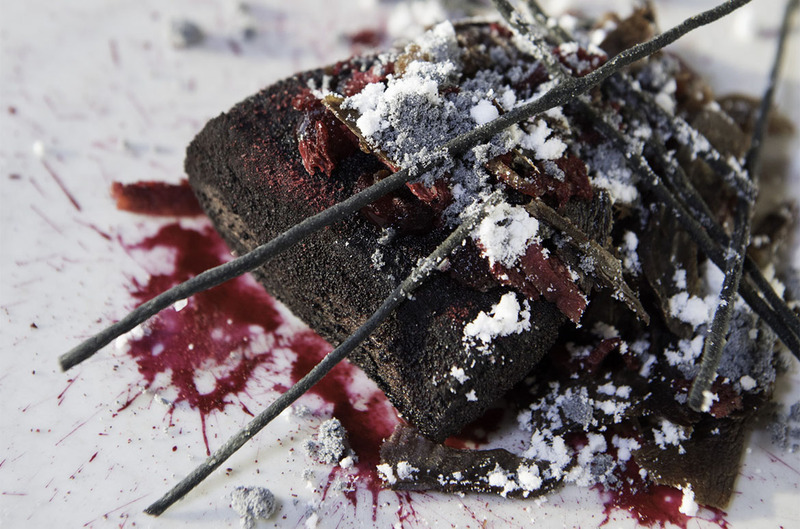 There are six different textures of beetroot on the plate which are all unique and important to the enjoyment of the dish. Failing to pay close attention to each of these diverse expressions of the ingredient will fail the dish as a whole. 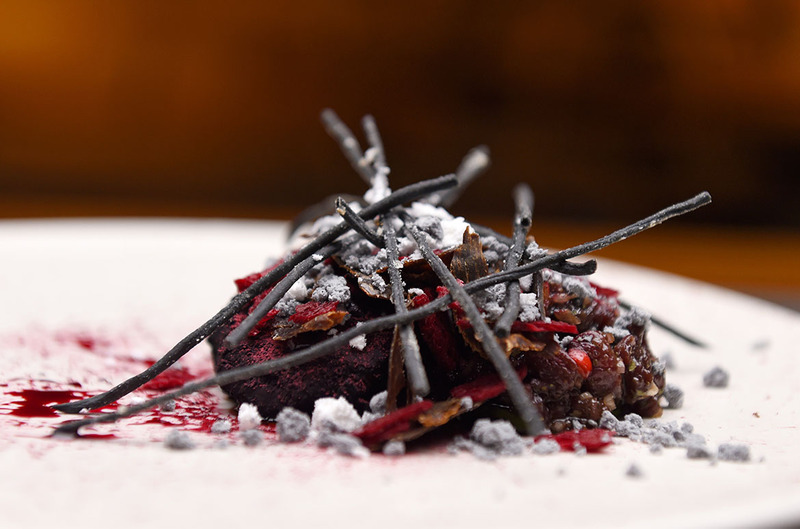 It’s about getting to know how far you can explore the different textures, flavours and personalities of the beetroot, while maintaining the integrity of the dish as a whole. View the recipe. 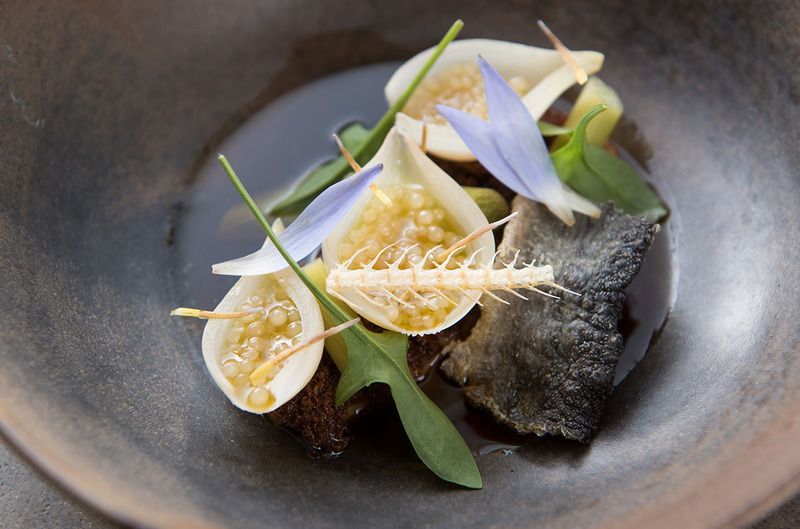 Australian native flora and fauna play a central role on the GOMA Restaurant menu; what draws you to these? I had a transformative experience at noma (Copenhagen) which at the time was the world’s best restaurant. I realised what set them apart from other top restaurants was their intention to put Scandinavian culture and landscape on a plate. 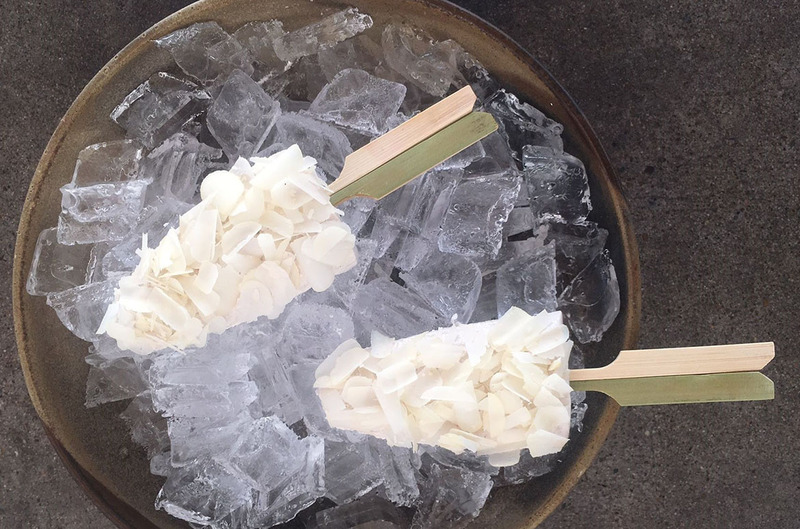 Australian native ingredients are the flavour of our landscape and are truly delicious, all of which deserve to be showcased. 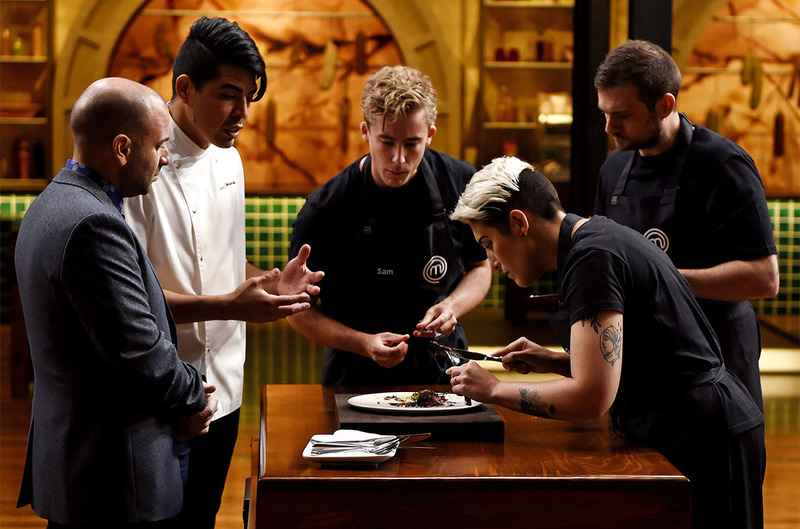 If you had to pick a contestant from MasterChef to join your team, what would you look for? Working in a kitchen is a difficult career with long hours in a high pressure environment and it requires dedication to see out an apprenticeship. An apprenticeship is an important rite of passage to becoming a great chef. I look for common sense and someone’s willingness to learn. I’m not sure you can learn these things, but you can learn almost everything else. You’ve cooked for heavy weights such as POTUS Barack Obama and Australian Prime Minister Malcolm Turnbull, and you’ve won awards and accolades such as two Chef’s Hats and 2016 Citi Chef of the Year; what keeps you grounded? My wife, family and friends don’t let me get too ahead of myself. It’s important to be humble and I don’t do it alone. I lead a talented team and teamwork is what achieves results. 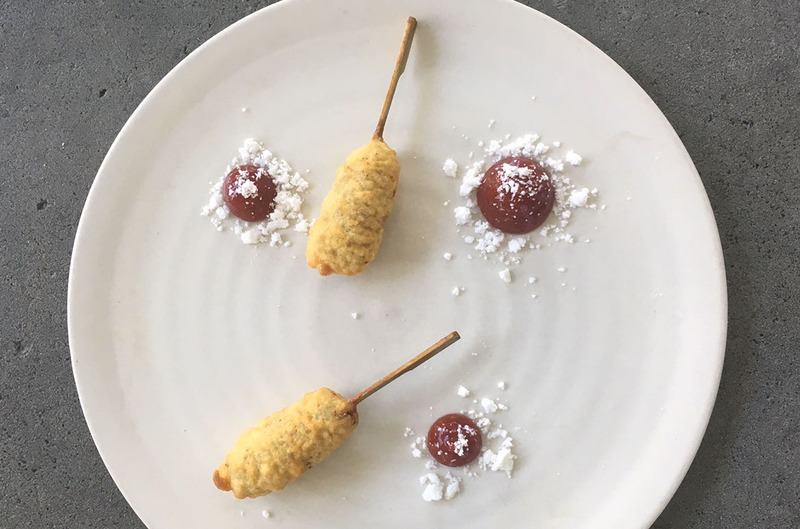 You’ve just finished your sensory degustation series ‘We Who Eat Together’ with Brisbane artist Elizabeth Willing, exploring the human experience of food culture and eating with all the senses. Your next investigation on the topic of food is a dinner with Delicious Magazine, exploring the theme ‘Wasted’, with a focus on food waste. What can you tell us about the Delicious dinner and your take on ‘Wasted’? We are all becoming growingly aware that our cultural behaviours and expectations around ‘perfect’ food and unseasonal availability is creating big issues around food waste. It is most alarming when we live in a world where every day, people die of hunger. So much of the food we throw away can actually be delicious. I am going to be serving a dish of cauliflower stalk cooked in spent espresso coffee grinds. The dinner is actually collaborative with Cameron Matthews (The Long Apron, Spicers Group) who is also passionate about accountability of food waste. 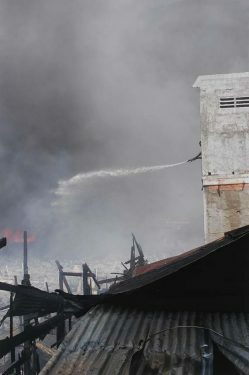 We both work with OzHarvest, a charity which deals with combating some of these issues. What’s coming up at the GOMA Restaurant that you’re excited about? ‘Marvel: Creating the Cinematic Universe’ is finally open and we’re so excited to be a part of that. GOMA will be opening until late Wednesday evenings and we wanted to offer Marvel fans an opportunity to linger at the Gallery. We’re hosting the ‘Xanadu Wine Bar’, offering a premium wine and bar food menu in response to this amazing exhibition. The restaurant’s philosophy is to deliver a dining experience as contemporary and creative as the artwork which surrounds it. Like the best artists, our menu strives to tell stories. With a focus on local ingredients, we work with growers and suppliers to source produce at its peak, profile new ingredients and rediscover forgotten ones. 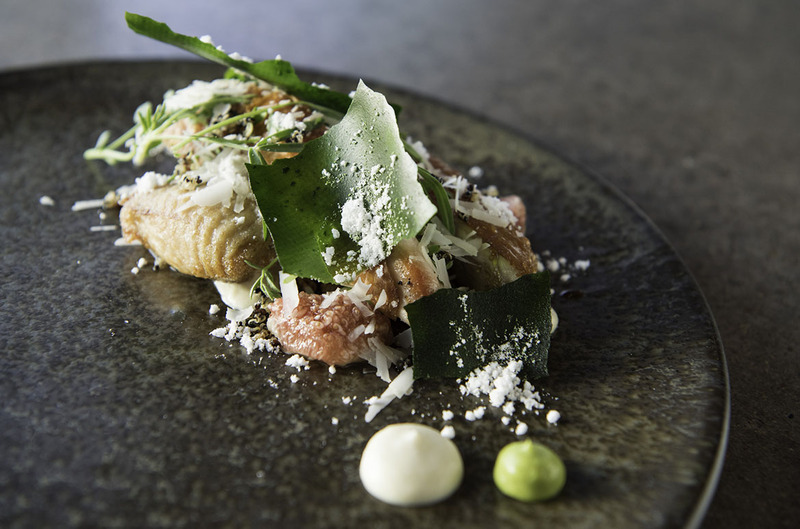 ‘Billabong’ and ‘The sky is falling’ are offered on our Winter menu. Xanadu Wine Bar Wed 3.00pm ’till late during the ‘Marvel’ exhibition until 30 Aug. Bookings for the Xanadu Wine Bar are not required. Head to GOMA Restaurant’s Terrace from 3.00pm on Wednesday evenings until 30 August during the ‘Marvel’ exhibition for premium wines and bar food.